A dyscalculia assessment can help children and adults understand why they may be struggling in maths. It helps to boost confidence and self-esteem. Identification can help children and adults to get the personalised support they need. A full detailed assessment report is produced within two or three weeks of the assessment. This includes an outline of learning strengths and recommendations and strategies for how to improve and work on areas of weakness. The word dyscalculia comes from two Greek words, dys meaning ‘inadequate or difficulty with’ and calculia meaning ‘count or calculations’. Dyscalculia is a specific learning difficulty involving the comprehension and learning of maths. Often it causes difficulty with developing a sense of number, identifying and recognising numbers , understanding the meaning of numbers, estimating and understanding the symbols and language of maths. Other symptoms include being unable to tell the time, or having a poor sense of time, unable to learn multiplication tables, unable to learn and remember mathematical rules and formulas and difficulty performing mental maths. It can also be accompanied by difficulties with spatial awareness, hand writing, speed of processing (dealing with visual and oral information), visual perception, working memory, organisation, sequencing skills and motor skills. 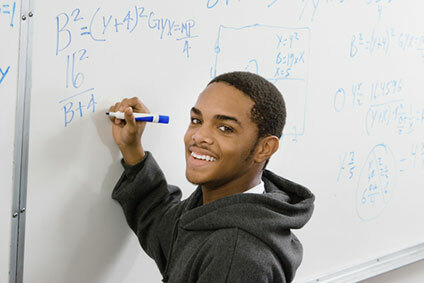 Dyscalculia occurs despite normal teaching and is independent of socio-economic background or intelligence.